Its out TODAY! Check out Amazon or Paraclete Press to get a copy (it will be out on Kindle later in the month. If you're in Cincy or want me to mail you a signed copy shoot me at note at troy (at) ChurchAsArt (dot) com. God was so enthralled with a life of loving connectedness that God loved into existence a world with the same potential. Like a painter setting out with an end in mind, God imagines and engineers a world continually unfolding as an expression of God’s own original love. It’s almost as if God were standing at the future, lovingly drawing creation forward. Each time God’s Spirit shows up, she is hovering over the unexplored potential. God does not rush the process. From the very beginning of time as scripture depicts it, we see the Spirit of God, as a patient artist, okay with the “unfinished” potential in the story. God is at home with things as they unfold. As God’s creative project unfolds, each session’s work seems to speak to God as well about the next day’s work. The kind of listening we are talking about is not the same as acknowledging noise or words. This is at the core of what it means to be an artist: perceiving. The potter, the poet, and the person who prays each have to read between such lines. They have to listen through to what is felt at the core. Jesus used a quote about this from Isaiah in defense of his use of parables. Some, he said “ seeing they do not perceive, and hearing they do not listen, nor do they understand” (Mat 13:13 NRSV). Art is like life in this way: the raw ingredients, the various materials and mediums that you intentionally engage with affect the art you make... Focusing on process alone would be like describing a painter without talking about the choices in pigment and canvas, without asking about the use of perspective, color, or tone, and with no attention to the place or day and age in which she painted. Its like an actor reading a script cold, no background story, no research, no setting, posture, accent or pathos. Attention to process it enriched by when we pay as much attention to the ingredients. This is a book for the driven in us all, those activists, creatives, and passionate Jesus people who can develop creative block when we avoid risk or rest. I'm excited for the many pieces yet to come. Jonathan Stegall, Travis Eckmark and Jason Orme have been working on an updated troybronsink.com website that should roll out soon. The folks in Cincy meeting weekly for a book creative group are helping develop group materials, and some plans for a video trailer and possibly more are underway. I'm curently setting tour dates for 2013, to speak as well as share music. If interested please shoot me a note about that as well. I'm thrilled to announce the release of my upcoming spiritual & creative leaders book, Drawn In. Its designed for artists, activist, and Jesus followers looking for ways beyond the Right-Brain drain and culture wars of modern Christianity. I walk readers through emerging design thought and ancient practices using biblical and pop culture imagery. While utilizing design models its more poetic than didactic in its approach. It is my most exciting work yet toward expressing my passion that beauty and creativity can draw both the church and artists into deeper collaboration with God and God's kingdom! You can "look inside" it at Amazon, Paraclete Press, and soon it will be available on the redesign of my website. Thanks everyone who helped bring this book to life!!! D.Y.I. and the kingdom of God? So the entire list of tracks is streaming from now until monday night. 16 songs from the live show and rehearsal. We'd love your help on getting the set down to the best 10-11 songs for the debut LP. click on the "music" link above or, better yet, goto soundcloud and open an account and "heart" the songs you love the best. I'd love to hear what you think. When Neighbors Abbey began we decided it should be a part time job. And so my other job was as a contract worship curator for City Church Eastside with my friend Scott Armstrong, who I had gotten to know through the Emergent Cohort. While it remains part time, it has grown into a very life-giving collaboration! It started out while they were meeting in the community room at StudioPlex in Old Fourth Ward and 30-50 folks would gather. I played on my own or with a bassist or mandolinist (is that a word?). Eventually more musicians joined the ranks—folks who had been playing in indie bands around town. When we moved into Stove Works facility (still in O4W) the large boomy warehouse space affected the songs and we found our voice with more ambient/explosion/radio-head-ish tones. All along I've been asking churches to consider moving past the false choice of "traditional or contemporary" into culturally specific aesthetics (or in the words of my friend Doug Pagitt- moving from for to as). But this venture with City Church has stretched further than I would have imagined into its own distinctive sound. We still cover familiar songs but we reframe them to fit our voice. For example we'll sing Come Thou Fount of Every Blessings, with a 5/4 interlude like Sigur Ros or Come Thou Long Expected Jesus with the heavy tambour and pedal tones of In Rainbows. We've also written some songs together with monthly jam sessions (using some tricks I learned along the way from Todd Fadell). Here's the Kickstarter promo video with some samples of band rehearsals (the whole thing was recorded from my iPhone4). This project is an opportunity to demonstrate diverse theological collaboration, to create fresh expressions of church, make quality indie music, and to bridge the emerging community of the church with her fore-parents. I'd love to hear what you think of the project as it unfolds and (of course) would love your help in making it happen through Kickstarter before March 18. We need to raise all $5,000 or we don't get any of it. Is it poor form to be sad that Advent is drawing to a close? Somehow the more maudlin honesty about longing, with the cooler air (though Atlanta has been uncharacteristically warm this December) and the bare trees invites me to a place of peace and deep beauty more than any other of the year. Not to be confused with the 25 day calendar countdown complete with daily chocolates, the four weeks of Advent leading up to Christmastide originates in the Hebrew lament and apocalyptic traditions. The prophets and prophetesses of the Jewish people anticipated a day when their suffering would be reversed and when God would usher in an age of freedom, Sabbath, and reconciliation (check out Isaiah 27.6-28.13, or Handle's Messiah). Walter Brueggemann writes, "It is for good reason that prophetic imaging is characteristically done in daring metaphor, surprising rhetoric, and scandalous utterance, for to do less is to fall back into conventional distortions of reality." (Brueggemann, NYAPC, August 2006) Music has been a vehicle for that metaphor for centuries and folks like Bob Dylan and Curtis Mayfield brought it into the fore of pop music. Christmas season in the west is filled with the kind of longing aesthetic, just check out the #sadchristmas hashtag. In years past songs like Tom Wait's Jesus Gonna Be Here, Joni Mitchell's River, or U2's Wake Up Dead Man have been strong Advent soundtracks, but the two songs this year that particularly captured this feeling for me were Rory Cooney's Canticle of the Turning, and Paul Simmon's Getting Ready For Christmas Day . This saving word that our forebears heard is the promise which holds us bound, 'Til the spear and rod can be crushed by God, who is turning the world around. I have to admit, I was sorta hard on this song in seminary because it was always rendered with the aesthetic of a PBS special of The River Dance when sung to organ in straight 4/4. And it was a token song for youth-pastors-turned-MDiv students with djembes wearing indigenous shirts from past mission trips. But last year I heard Emmaus Way do it and then this year I was able to arrange it with the band at City Church Eastside and we landed in a more Joplin/Zepplin feel (or Blitzen Trapper for folks following current indie music) which is admittedly my own subcultural equivalent of indigenous shirts from mission trips. Anyways, the song's revolutionary tone and poetry came to life for me in this new setting. We began to joke that is was a song for 99%, but its probably more a song for the 2/3rds world (who's indigenous shirts are worn by ex-youth pastors). 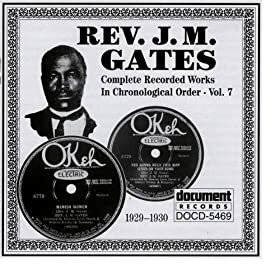 Reverend Gates: Getting ready, ready for your prayers, "I'm going and see my relatives in a distant land." What songs bring Advent home for you? Will you miss this season as much as me? structure verses interaction, is this a fair dichotomy? For year I've been having conversations with friend, blogging-preacher-mom MaryAnn McKibben Dana, about worship. We were in seminary together and led many an alternative approach to preaching and liturgy. But now she is serving in a traditional context. Recently I asked her to hit me up with a question or two for this blog. My question comes from serving a traditional congregation that has a lot of potential. I have introduced all sorts of things with them, basic stuff like prayer walls, talkbacks in worship, and the like. Thankfully, I have never experienced resistance to any of these funky things. But... I sense that they put up with this so long as I don't do it too often. I'd rather the interactive stuff be more of the norm, not that there's not structure, but it's a skeleton, not an exoskeleton, that limits our growth. So I wonder what tips you have for congregations that are open to change, but are coming from a very traditional place (I keep using that word). This is a church that until 5 years ago did the Apostles' Creed EVERY Sunday. In other words, we're starting from scratch. What's the beginners' course for interactive, creative worship design? I totally get where you're coming from, MaryAnn. Just this Sunday I was curating sung prayer for a young adventurous church plant that loves alternative shaped music but still didn't know what to do when the wrong bulletins were printed. And later that evening I attended a casual Episcopalian service where the attendees wanted to read their prayers, hear the gospel lesson, share communion, and be out in 45 minutes. Neither of these congregations are ready for or interested in weekly open sourced interactive stations. They might each agree that change is necessary to attract new comers, but that doesn't mean their worship incorporates change any more than your traditional Presbyterian church. Among many ways of approaching this, I find a key starting point is developing an understanding of worship that engages the participant as a learner, facing new questions. Does worship incorporate opportunity to encounter unsolved problems, or does your congregation expect worship leaders to solve all the problems before they arrive? This is not the fault of structure but the fault of congregational expectations (or pastoral expectations, or both). A great Phish concert, Jazz show, or improve theater will tell you that they plan meticulously, and yet they know that open spaces for serendipity are essential to the actual art happening. In fact, high levels of interaction usually require structure.Most of us already do this in preaching, we set up a story or metaphor that places the listener in an aesthetic posture of "re-thinking" their presumed categories. In their clever book on marketing, Made to Stick, brothers Chip and Dan Heath call this "breaking the guessing machine." One of the challenges in organized worship gatherings, however, is that people grow accustomed to the guessing machine and find comfort in knowing, resting in the familiar. See if the rhetorical tools you use to engage the listener can be applied to other worship introductions, and to teaching and observation about the shape of worship. When you can break people's guessing machines when it comes to sharing a cup or pulling out your their wallets for an offering, then you're on your way. I think the church is in an imaginatively gridlocked system. When worship leaders (pastors, musicians, lay or clergy) have to prove their omniscience to a congregation then its a tail tell sign that the congregation has begun to form worship and the one they worship in their own image. Worship, like therapy, is about generalization. While I don't think therapy is always a good metaphor for worship, in this case it works—the couple that uses "I statements" with enough frequency in therapy eventually uses them at home in higher stress situatations. Similarly, in worship, our minds and imaginations inhabit a story and a practice such that we then recognize that story in the wider world. So I'd argue that worship without questions or "room for serendipity" actually misshapes the congregants. Congregants need their "imagination to flower" in worship so that they can find God in the unsolved problems they face in life. Try using a visual image in worship and asking questions about it that you don't already have answers to. Allow lectio divina to open some space for the "sermon" to crawl into unknown spaces, and then playfully say, "I wonder where that could lead you the rest of the week?" Meet with some of your leadership (such as a worship committee) and identify various places in your worship gatherings (in the usual liturgy) that you can on some unexpected week, either break a guessing machine, or leave open space for serendipity. Then slowly introduce creative practices (such as those found in The Art of Curating Worship or Sacred Space ) for one element of worship, during session meetings, bible studies, sunday school, etc. Invoke responsibility: Always note that people are freely invited to opt in, to join the adventure, but that they can also opt into silent contemplation if they would prefer that over one of the exercises. Let me know if any of these tips work or what other tips you might have. So, what is Clayfire, and why would anyone care if its gone (here's the closing announcement) ? Their tagline, "reshaping worship together" sums up what I think they/we were after. But they also needed to figure out how the reshapers or users of "pre-shaped" worship were going to access the designs... and in the world of Planning Center Online and various denominational worship resource companies, Clayfire never figured out how to break into the industry. About two years ago at Christianity21 event in Minneapolis I met Linda Parriot and got reacquainted with Sally Morganthaler, they were beginning a project around worship that would combine resourcing churches as well as catalyzing artists who design worship and art experiences. The project would be both an affiliate of Augsburg Fortress Press' new imprint, Sparkhouse, and a sort of online resource store. I joined up with the team as they were commissioning original content for the online resources. Sally and a few others moved on around the same time because they were more committed to the catalyzing and collaboration than to an online resource site. I enjoyed working on a fresh collection called "God's Grand Work of Art" with friends like Tim Omara, Aaron Strumple, Todd Fadel, Josey Stone, Margaret Ellsworth and my brother, designer Jonathan Bronsink. The collection was one of dozens designed by artist who not only lead worship music, paint, or preach, but who design worship as formational practice of missional life. Influenced by the work of Mark Pierson, Clayfire coined this practice as "curation." 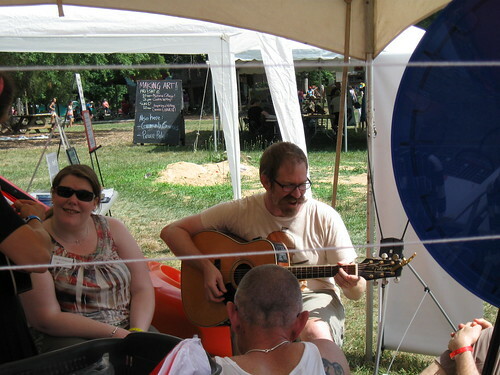 Then last summer I met up with Jodi-Renee Adams, Eric Heron and Lilly Lewin to plan a worship gathering at the Wild Goose Festival. Eric had been leading a blog discussion on this for quite some time, and many of us had worked together before. But working at the goose was a chance to welcome other artists into the conversation and introduce this line of worship design thinking to pastors and missional leaders. Here's a picture of an experience curated that included the use of yarn passed between participants as a symbol of shared prayers. Then, this fall I had the chance to work with Mark, Jodi, Shawna Bowman (in the pic above) and ephemeral artist and Methodist campus minister, Ted Hatten. We co-facilitated a seminar in Chicago called The Art of Curating Worship (after Mark's book by the same name). In that space I really grew to trust the vision and focus of the Clayfire organization. While they did need to make the business start up work (and the actual online subscription program had to roll back to beta because of so many quirks) they had carefully connected the success of the business and the online resources to the re-imagining of worship. Not enough could be said about the courage to try that! So, this Monday, when I learned that Clayfire would be unplugged I was sad but not surprised. It was at once a struggling business venture and a burgeoning group of theologically nuanced creatives who could (and still might) reshape the practices of church. For sure, these theological-artist and others were doing this before Clayfire, but nevertheless this was a rallying point and I met great people because of it. In the art of throwing pottery, the potter often discovers that the clay just doesn't want to become what she had in mind. If, in the middle she forces it one way or another the entire vessel collapses and throws slag and bits of unfired clay over the potter, the wheel, and the room. Sometimes potters luck out and an unexpected work of art emerges. And then sometimes the pot seems to be done but it just doesn't feel right... it ends up sold at a discount because it never fits... Sometimes its not until they are fired in the kiln that pots fail, because the slip and scoring weren't strong enough for the handle to hold or because the glaze bled. So the question is what do we make of Clayfire? A failed business idea, or an early iteration in a host of ways forward in congregational formation and worship arts? I'm sure that there remains more to be seen from the world of worship curation and I hope that Clayfire's legacy will play a significant role in whats to come. What do you hope for the future of worship shaping, and what organizations, groups or networks have you found most supportive of this kind of work? Check out this online course we will be teaching through the Center for Progressive Renewal. This course is open for anyone to register. Course is postponed until January, shoot Troy or Josh an email if you have interest in the shape of the curriculum or other workshops we lead. Inventing Intentionally Transformational Emerging Worship, a five-week course led by Troy Bronsink, an artist and pastor seeking the way of Jesus, and blogger, podcaster and activist Joshua Case, is designed to help you look at worship from a new perspective and to set the foundations for change. Not all healthy worship gatherings are organized as “emerging churches,” but the emerging design values of intention, transformation and participation are shared across the board. This course in designing worship keeps those values in mind. Whether you are starting a church or a new service, or you are ready to build these missional values into traditional worship gatherings, this course is for you. Students will utilize skills from community organizing and design thinking to articulate their congregation’s hermeneutic and mission, and then design a four-week worship series in teams comprised of other students or artists in their congregation. Weekly written reflections will be based on assigned readings from ecclesiology, aesthetics, liturgical theology and contemplation. To model transformational worship, the course will be structured as a journey of spiritual formation for all participants. Like a mini-study leave, space will be created for participants to re-imagine/deconstruct/construct congregational and personal worship. In other words, it will be an interactive prayer. The course begins Tuesday, November 16 at 7 p.m. EASTERN time with a conference call for all participants. Tuition is $249. For more information, please contact Rev. Gregg Carlson, CPR’s Director of Online Learning at gregg@progressiverenewal.org. Ignatian Design: 1. Using lectio-divina and/or Ignatian prayer, have participants engage the text with imagination. 2. Have them list images that come to mind 3. Then give those images to set designers, painters, and poets to build a series or liturgical season. For more info, make sure to email us for questions. For seven years Church as Art has worked with mainline and emergent congregations to get pastors, lay leaders, and artists onto the same page as they design worship and other church programming. Designed at first by Rev. Troy Bronsink to bring the emergent-missional conversation to midsized Presbyterian congregations, Church as Art's collaborative process has grown to include small congregations, non-denominational groups, and middle-governing bodies. Now Joshua Case (of The Nick and Josh Podcast) joins Bronsink to bring depth of insight and experience in the fields of outreach project management, social media, non-violent communication, student ministries, and emergence from within the Episcopalian tradition. Worship Design Webinar: What is Emerging Worship? July 27 @ 7PM (EST) hosted the by Center For Progressive Renewal. Sign up here. Emerging worship engages communities in the art of everyday life. Whether you are asked to start an alternative worship service, are exploring complimentary elements to deepen your existing worship offerings, or starting worship for a new church plant, you need to start with "How does worship connect to what we believe about church?" Of course, you also need on-ramp methods to get started right away: tips for how to find and train musicians, artists and poets; how to design the time and place; and maybe even some survival strategies for addressing the resistance you may encounter from within your congregation. We'll hit those, too. "Emerging Worship," led by Troy and Joshua is about communities anticipating the dreams of God together by playfully sharing and trading narratives and rituals as prayer. Troy Bronsink is an artist and a pastor seeking the way of Jesus. He and his wife and daughter, live in the Capitol View area of inner-city Atlanta, he is the Abbot of Neighbor’s Abbey, an holistic monastic community. Their family has been passionate about community development, education, and creativity for years. In integrating these Troy has become a contributor in the emerging church conversation. He is a singer-songwriter with 15 years of experience ranging from youth ministery to worship director to senior pastor, and in both the mainline and para-church field. Troy has an MDiv from of Columbia Theological Seminary, is an ordained Presbyterian minister, serving on the Greater Atlanta Presbytery’s Emerging Church Committee, founder of the Atlanta Emergent Cohort, and board member of Emergent Village. He is a contributing author to the 2007 Baker Emersion release, An Emergent Manifesto of Hope, and author of the forthcoming 2011 Paraclete Press book, Getting Drawn In. Joshua Case is a blogger, podcaster, and activist. Josh and his wife live in Decatur, Georgia where he is in his final year of study at the Candler School of Theology. Josh is an Episcopalian, co-facilitator of the Atlanta Emergent cohort, and has blogged and podcasted on matters related to Christianity in the emerging culture for over 10 years. Before moving to Atlanta, Joshua worked for six years in Geneva Switzerland where he served as the executive director for an international, interfaith youth work and ministry organization. 1. Until pews are dandelions –sprig leggy levers– catapulting young minds into kingdomcome; sweeping elderminds like dreamseeds of evervision. Until songs take wing stretching strong like the arrows of migrating Juncos lending lift, everloft, and standard. Tail feathers slicing tomorrow unto tomorrow. and the old and the future are part of today’s firelight. "Sing the Hillside Song" they cried. There were so many of them. He wasn't even sure he could be heard above the din of all their voices. He walked among them and looked them over. In his mind he knew that the Father's Spirit wanted each of them to learn his song. Someone in the sprawling crowd stood and handed him a lyre. "Sing for us please Singer—the Hillside Song!" "Yes, yes," they called, "the Hillside Song"
"Blessed are the musical," he said, "for their's shall be never-ending song." "Blessed are those who know the difference between their loving and their lusting, for they shall be pure in heart and understand the reason." "Blessed are those who die for reasons that are real, for they themselves are real." "Blessed are all those who yet can sing when all the theater is empty annd the orchestra is gone." "Blessed is the man who stands before the cruelest king and only fears his God." "Blessed is the mighty king who sits behind the weakest man and thinks of all their similarities." "Earthmaker is love. He has send his only Troubadour to close the Canyon of the Damned." Then they broke his song and cried one with one voice, "Tell us Singer, have you any hope for us? can we be saved?" "You may if you will sing Earth- makers's Song!" "Is there another way to cheat the Canyon of the Damned?" The beauty of Miller's language here, to me, is that there is a song that wants to be played. There is a way out of loneliness and despair, that comes with willfully listening to the song within... And that you can't short cut that listening pathway with some kind of formula or group membership. We have to keep listening, and singing. My friend Josh Case asked me to post again. I just noticed that he was the reason for my last post (I need to post more often, huh). I want you to reflect with me on how Good Friday typically functions to form our faith, and to try a short exercise that might re-form that function: Good Friday can start to feel like a civil war reenactment once death has lost its sting. So what, then, do a resurrection people have left to discover on Good Friday? How does the holy-day serve liturgically to “shape” us as followers in the Jesus Way? To answer that I want to start by throwing out ways that Good Friday might misshape us, and some guesses as to why. So, if you grew up in a popular American Christian experience like mine, Good Friday was a time to recall the miracle of the Romans Road, when the cross was laid over the pit of hell (complete with hazard cones warning drivers to beware of impending doom) delivering to safety those individuals who would accept the torture of Christ in a representative capacity for their own cosmic debt. And if you’ve been on a similar journey as mine since, you’ve perhaps grown a bit cynical about that thoroughfare constructed 19 centuries after the fact out of 5 sentences of a 20 page letter to the Romans as well as its complimentary campaign reducing Jesus’ Good-Friday event to a rescue mission to hack into the Matrix and change God’s rules- a mission that God would have sent Jesus to do for me if, even if I were one and only human on the earth (and yes, I’m proud to say that the “I” here is me, the guy writing this post, and not necessarily you- at least that’s how I remember the shtick going). And if you were living and breathing 7 years ago you had to have heard of or seen Gibson’s Passion of Christ. If it did its job, you might have gotten even more eeby-geeby about the gore and agony that Holy Week culminating in Good Friday represents. And perhaps you shake your head, like me, at those friends who watch it year after year hoping to shame the sin away by “identifying with the pain” of our savior, or hoping to leverage the cinematic shock-and-awe to drill a deeper well toward even deeper gratitude than the year before. But death-movies like Gibson’s have lost their sting to me. So instead of blogging through biblical, theological or historical evidence that could either make you feel more self-confident, or could lead you to throw up your hands dismissing my argument as unfounded, I want to ask you to do a little exercise. It is a directed meditation that will require 10 minutes of your dedicated attention. Whether you’re reading this on your Driod or iPhone or laptop, or even if your secretary prints out RSS feeds from Josh’s blog and lays it on your desk next to your morning coffee, I need you to stop for a sec and get a blank sheet of paper. Okay, now take your piece of paper and fold it in half twice to make four equal quadrants. No need to draw any lines, the two creases should suffice. Companies, technologies, superstars, industries, ideologies, and leaders with power who misuse their power to devour others. Those who you’d take into your house when they need help. Those who have given you favors, breaks, and gifted you with opportunities to progress in life. Those who subscribe to and/or share your religious group’s gathering habits, styles, ideas, and language. Now draw a horizontal line along the horizontal crease above the two groups. The gospels give us a window into three years spent by Jesus re-imagining a place over that horizon in which the divisions below the horizon no longer exist. He saw a kingdom where those who were cursed would be blessed. He saw a world where the oppressed would carry the oppressor’s pack an extra mile. A future where it would be possible to love your enemies, or even that forgiving others' their trespasses would be a part of ushering in such a forgiving future. He saw a faith that would reunite the religious and irreligious. Jesus’ mission to “proclaim freedom to the prisoner, and good news to the poor” would affect the prison guards and the wealthy as well. Now, don’t get me wrong. Jesus did not say every behavior, group, or ethical decision was “relative” or that grace abounded such that injustice or self-sabotage would be free from consequences. Jesus said he’d bring a sword between parent and child. He knew that his cruciform presence, his servant leadership would exacerbate divisions. That either side would have to fall like a seed into the ground and die to be born anew with eyes for that other horizon. He challenged those entrusted with power to measure out consequences for injustice and self-sabotage. And this challenge would wear out those authorities (imperial and religious, as well as the public power of social media who would cry “crucify him”) until they resorted to the last resort–violent death. 5. Now, draw a cross below the horizon, between the two sides somewhere along the vertical crease (of course I have ideas for what you could draw above the horizon, but this is a Good Friday blog not an Easter Sunday one). Here's my beef with the Romans Road, it trains our imagination to think of ourselves first. And when that is our primary metaphor it can pervert the power of Good Friday into a therapeutic form of asceticism. Instead of imaging this Good Friday, that it’s all about a back room deal to get you and those in your group on the bridge over troubled waters, image that the divisions of your everyday life are made physical, demonstrated in the crudest most humiliating of forms. The cross and the torture devises of empire belong below the horizon line of the promised future. What changes the crucifixion’s cruel macabre character is Jesus’ vision for what lay beyond it’s horizon. Empire and death are made a laughing stock on the resurrection side of that horizon. Join Christ on the road to Calvary by laying down your arms, your defenses, your revenge, your bounded sets, by daring what C.S. Lewis liked to call the “deeper magic” to happen. No doubt, death is real. We feel it to our bones and it is serious stuff. But Good Friday’s glory does not come from death’s gravity. Good Friday is Good because it is the masterful cosmic foreshadowing of the prevailing community of forgiveness. The vision of the Crucified one, on Friday of Holy week, is good news to everything on this side of the horizon, it is proof that God would not want any single one to be left out of the story. ‘Even if you or I would dream it otherwise. Do you recall that curtain ripping in the Holy of Holies at the strike of 3pm? Paul would later write that the dividing wall between people is also removed (Eph 2.13-16). So, what shall separate us from the fellowship forming love of God in Christ Jesus? Nothing! There is no longer Covenanters or pagans, no longer male and female, no longer enslaved or free citizen… all things are made new. Even that old foe, death, no longer has its stinging capacity to separate us. The empty cross proves that corporeal threat is impotent in the face of God’s love, and the empty tomb proves that sacrificial death is empty too. Jesus was betting on that! Good Friday is the inhaling of the deeper magic. On Good Friday, we are invited to join Christ in letting-go of the demand we hold on others and in letting-come the power to forgive, heal, reconcile and belong within a New Creation. Daniel Pink suggests that we are in a conceptual age where pattern recognition, play, story, and empathy are the new sought after leadership skills. He admonished us to cultivate "high touch" "high concept" aptitudes. I think that churches can be overflowing with these skills if they trade out old “stand and deliver” practices for real life rehearsals, practices, drills, postures, that ask us to interpret with these emerging skills. "Our task is not to construct a full alternative world, but rather to fund-to provide the pieces, materials, and resources out of which a new world (from origin to completion) can be imagined. The place of liturgy and proclamation is "a place where people come to receive new materials, or old materials freshly voiced, which will fund, feed, nurture, nourish, legitimate, and authorize a counter imagination of the world." A congregation’s method (its polis) is the “news” it spreads: Have you ever tried to explain Google or Wordpress without referencing internet or open sourcing… These companies organize differently because the world in which they live acts differently. When we believe that gospel is physical and relational, in a “conceptual age,” in its affect and its MO, then we too start to organize differently. Recently a good friend came to a worship gathering of Neighbors Abbey and she was not allowed to be a spectator, not allowed to “church shop.” She was placed in a position of reflecting through prayer and discussion. This moved her in an incredible way. Moved her past what she expected for a church visit. This was the gospel, the good news of Jesus Christ penetrating her defenses for the first time in years. A speech, no matter how well prepared, would have never made it past her guard. A congregation’s way of being with its neighbors determines the most about its being “good or bad news” to its neighboring host culture. An innercity church in determined that building a large elder-care complex would be best for their ministry to the poor and best for their community. They did not, however, listen for the community’s desires. They came into community meetings demanding to be heard, and demanding quick action. This posture hurt their ability to show/share/be gospel with their neighbors. It’s unfortunate, but they were the hermeneutic of the gospel- few, if any, voiced arguments against “what” this church proclaimed, or how this community views scripture or revelation. Their actions speak loudest at alienating themselves from the good news that is breaking into their neighborhood. A congregation that engages its local issues makes room, again, in people’s imaginations for the possibility of a God that has something good in store for the world. Recently at a party a person pointed to a local church leader and said, “he’ll makes you believe there is a God.” Now this leader is not an apologist. As best we could tell, he’s never tried to convince her or others “about” anything. Instead this Jesus follower lives real life with the others in the community. This person is not a “seeker” for the church leader to attract. This person is already receptive and listening for the revelation of God, ears ready for goodnews. It just takes people being that good news around her. The Post-Denominational Willow-Burberry hermeneutic is not a faith statement or a preaching style, it is the the courage to practice in real time, out there. For a few centuries, at least, hermeneutics questions have allowed people to stand on their shoulders and argue “about” revelation. I say, lets spend a few centuries joining creation as humble incarnation people, open and listening together for God’s revelation. I was recently on the Nic and Josh podcast talking about Neighbors Abbey and Emergent Village you can link to that interview here. Every one is invited and welcome. Come meet neighbors, and friends, new and old. I just got off the phone with Sally Morganthaler learning a ton about the journey from her book Worship Evangelism (a book critiquing the performance based worship of seeker churches in the 80s) through leadership coaching, and back again to worship as the ritualized space of mission. While talking we coined a phrase "actualization space." And I thought I'd throw it out there. Here's the idea: Its defining worship as the intersection combination of living deliberately and designing creative environments. Deliberation involves encountering an "other" as something to learn from or admire, say for example the difference between seeing a picture in an advertisement and seeing painting above a mantle or in a museam. When the picture is placed in an intentional space the viewer often makes a choice to lean in, to figure it out, to enter it. Art has made its way back into advertising space in ways that cloud this, but imagine the quailtative difference between having eyes to see something with intent, and just glancing past something. This is how art "puts you in play." It works the same way with music, think of the difference between Muzak working to "numb" the buyer and Radio Head's "Fake Plastic Trees" written to awaken the listener. Now, our lives are meant to be read in the same way. If you develop ears to hear who you are and who others are around you, you lean in, you give qualitative value to the person's place in the world. Actualization is simply about making an idea real. "Personal Actualization" in some sense, is the process of "listening to your life speak" (to borrow from Parker Palmer) and then acting on it. And so to go back to our art analogy, a painting in a museum may cultivate desire, compassion, rage, all sorts of things. And when you feel those things the art is "working" on you (to borrow an idea from Nicholas Woltersdorff). Now, imagine that creation is designed with an appetite for re-creation, that we all "long for the revelation of God's dreams as enacted by people who know and join those dreams" (my very rough paraphrase of Romans 8). Then the responsibility of the church, of those looking toward the coming of God with all our resources, is to create environments for people to "wake up." To create venues where not only art is hung, concerts are performed, or theater is displayed, but where people are listened to, and persons enact their calling. Church is not space to memorize something "about" following God, in so much as it is a place to learn how to follow Jesus by being with others (when two are three are gathered in my name...). "Actualization spac," is an environment in which we lean into the possibility that all of life has meaning, and increasingly so as God comes near. Thanks Sally for a thought provoking conversation! Recently several friends of Emergent Village released the decision to restructure our future around the metaphor of a "Village Green." A week later Christianity Today announced that they have taken that same metaphor to organize some of its publishing into a more conversational format. This, along with the mixed reviews about the ambiguity of EV 2.0 in this honeymoon phase, gives an opportunity to be clearer about what "The Emergent Village Green" is and could be. Remember back in the 90s then the Real Slim Shady walked through the Grammys with hundreds of impostors? I think this is not such a case. Instead, I think that CT and others are hitting the same generative pulse that EV has been discovering through ten years of "conversation." Relational set environments of trust work! For 10 years emergent has been practicing four values: commitment to God in the way of Jesus, commitment to the church in all its forms, commitment to God's world, and commitment to each other. This practice has created a "relational set" kind of communion. People from cohorts in Atlanta to SanFransico to Chicago have met across diverse denominational affiliation and diverse worldviews to practice putting these ideas in a web of connection together. If not every day, then emergents have at least been able to try these shared practices on at their cohort meetings or regional gatherings or conferences or over a web conversations. And Emergent's practioners are no longer just men, we're no longer just ex-evangelicals, and we're no longer just middle-class whites. But we're not "perfect." Some of us have broken these vows and picked on denominations or certain fundamentals. Some of us have missed chances to include Native Americans or second generation immigrants or African Americans. Some of us have not considered God's World when we bought cars or chose plastic bags. Some of us have even given up on the ‘idea' of Jesus at one point or another... But when we're together as the village we try to return to these four practices-we make space to do it again, to return to healthier integrative participation with the coming of God. As most of you have heard, this spring some of us got together in DC to listen for what God has been up to with the village over its ten years. We noticed that the deep integration of these four practices, as well as a few additional values, were our unique contribution to the emerging church phenomena; not any one spokesperson, not any one project, not any one innovative church or website or theology. No, Emergent Village's contribution has been the intentional embodiment of our values in new ways with more and more people. And we realized that these values only matter in practice. In short, all we can do is make an environment where these can happen. When our church or neighborhood, or denomination, or family are not yet safe for the risky experiment of valuing these four commitments at once, the village has made safe, generative space. And that is why, for example, we say at the Atlanta cohort that each participant is an owner of the village, because a room is only as safe as the shared habits of the people within it. We also know that being generative, or forwardly creative about the outcomes of being together cannot be guaranteed or herded from above by a coordinator or below by an uncoordinated open soured free-for-all. A tree is known by its fruits, you can't will it to bear something different. And so we decided to leave coordination of projects more open sourced, and to give all our energy to the "village greens" where such projects are born and given room to flourish. We tasked ourselves with hosting cohort open source projects, event inventions, justice opportunities, alternative publishing channels, arts collaborations, web and communication resources, all with the compass of our values setting a "way" to play in the various "greens." EV knows that folks are setting up greens all over out there without requiring some blessing or oversight from the wider conversation. But if you want to coordinate your efforts in any of these areas, here are the teams and their contact people (link to the details and their emails here). Will the real village greenies stand up, stand up... we'll have to wait and see.